Azizi Media has increased it’s commitment to helping dealers promote their stock to the marketplace by partnering with the Carsite network. The CarSite Network is made up of 6 websites. The flagship sites are CarSite.co.uk and AutoVillage.co.uk. These 2 websites account for the vast majority of the traffic and dealer enquiries that are generated. The other 4 sites are CarVillage, UsedCarsNearMe, AutoOnline, and MotorVillage. 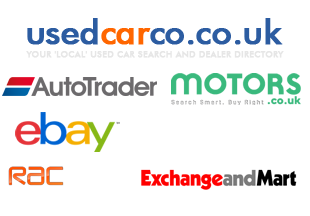 In total the websites receive around 50,000 visitors per day and generate thousands of enquiries every week for the dealers who have their used car stock advertised across the CarSite Network. The 1.5 million monthly visitors to the websites within the CarSite Network come from organic sources, with the majority coming directly from Google searches. You would be hard pushed to do a “used <make> <model> <town>” search in Google and not find one (at the very least) of the CarSite Network sites on the 1st page of results. Here’s an example search: “used volvo xc90 sandbach”. As you can see from the screenshot (attached), the first three results are all websites within the CarSite Network, and a little further down in tenth position is another one, that’s four out of the ten results on the 1st page of Google. This kind of prominence in the search engine results allows thousands of potential used car buyers, who know the make and model that they are looking for, to land directly onto a page full of relevant stock from the dealers advertising with the CarSite Network every single day.